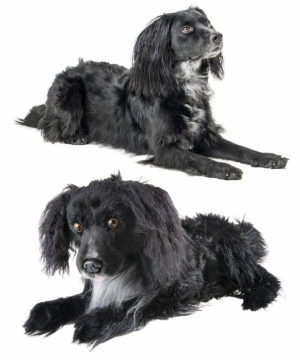 Cuddle Clones: Get a realistic stuffed animal made of your pet! When you’re not able to snuggle with your best friend, cozy up with a Cuddle Clone imitation instead. The team at Cuddle Clones uses pictures of your actual pet to handcraft a high-quality plush copy that captures your furry friend down to their cutest detail (but leaves out the throwing up on the rug). The stunning toy replicas will make visitors do a double-take and may even fool you at a glance. Cuddle Clones are fun tributes to your adorable animal, perfect gifts for someone moving away from their family pet, and a loving way to memorialize a companion you’ve lost. Send in pictures to get your animal cloned in plush!